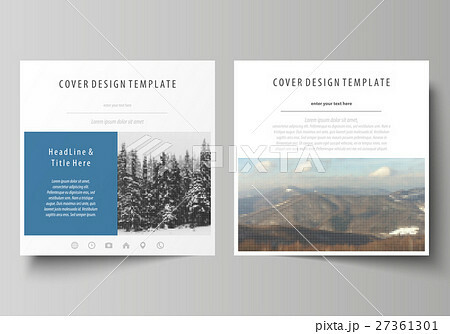 Business templates for square design brochure, magazine, flyer, booklet or annual report. Leaflet cover, abstract flat layout, easy editable vector. Abstract landscape of nature. Dark color pattern in vintage style, mosaic texture.